One of the great summer events in Portland is neighborhood garage sales. Any given weekend several neighborhoods have 50-100 garage sales. This weekend I attended neighborhood sales in Happy Valley, OR and the Laurelhurst neighborhood. My efforts here rewarded as I found some great pieces. This Sunday was also the monthly Portland Flea event. We finished a few pieces just in time to fill our booth. 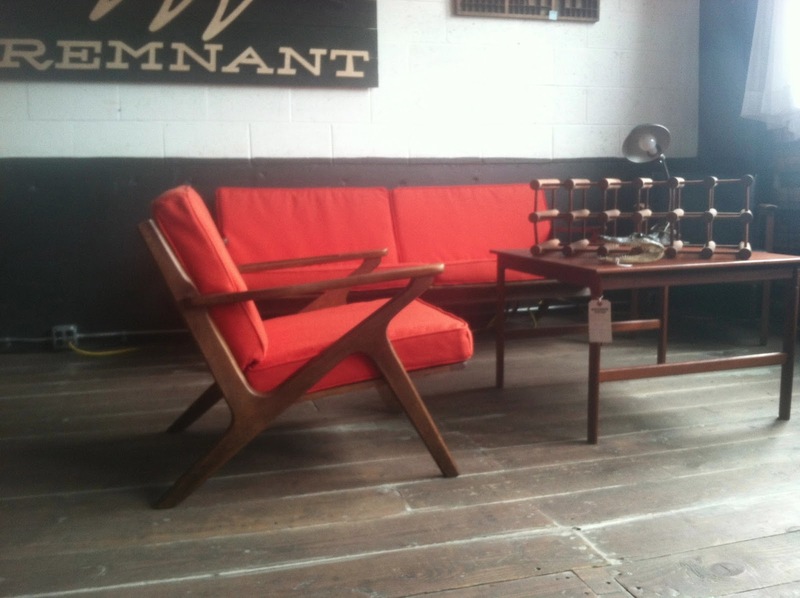 Our Z chair and sofa set got a lot of looks at the Flea and is now available at Hawthorne Vintage. The Danish coffee table, wine rack, and gooseneck lamp were all found this weekend. I went outside of our usual category with this early 20th century English Oak tea cart. I am sure it will do well for us at the Vintage Design Collective. 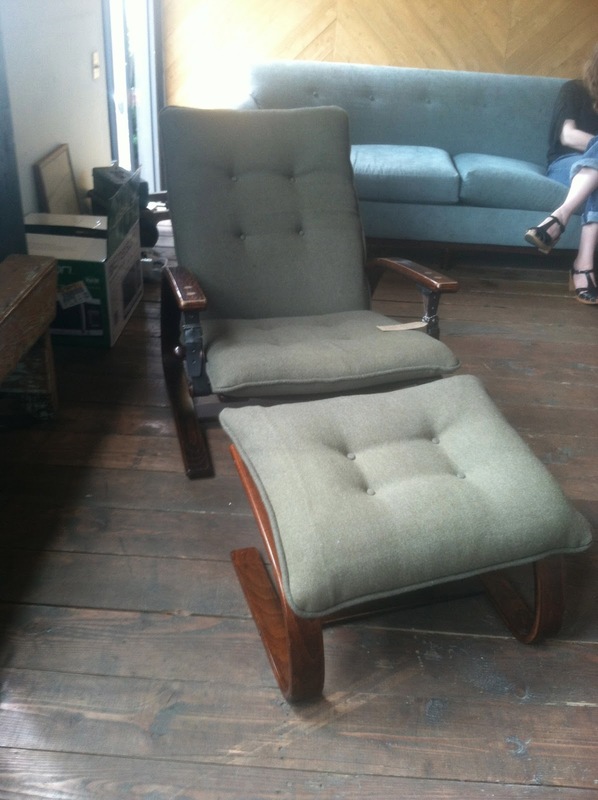 Our reupholstered Westnofa lounge chair and ottoman was the final sale of the day at the Flea. In true flea market fashion it sold in the final moments for an offer I couldn't refuse. My parents live in Portland, and just yesterday my mom was telling me all about going to the Happy Valley and Laurelhurst neighborhood sales! It sounded awesome, and it looks like you were successful there, too! Such great finds. Those garage sales sound like a dream! I am pretty sure that garage sales in Portland are heaven! I do not like garage sales where I live, lots of crazy drivers! Yet, I go. Thanks for hosting. You do find amazing furniture. That Z chair is a thing of beauty! Yet another reason I need to take a road trip to Portland. You find such great furniture. Thanks for hosting.